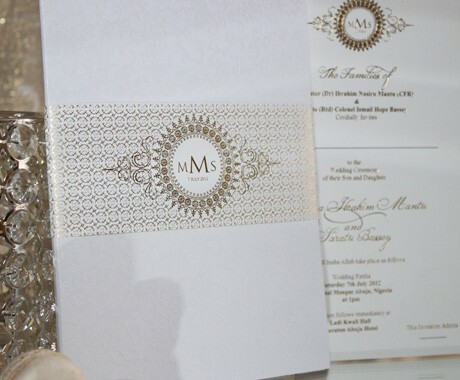 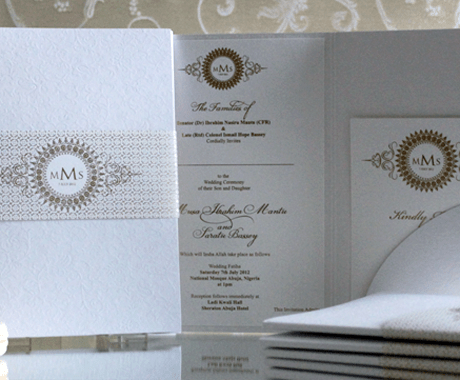 In just 3 short weeks we pulled off the order of the century… 1000 Bespoke, Handmade Invitations for the son of a Nigerian Senator!! 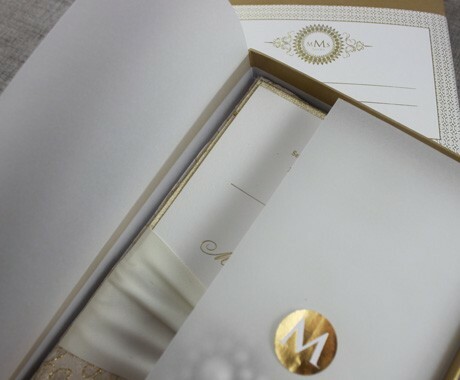 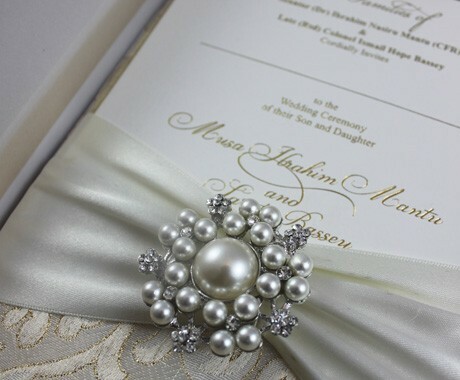 VIP Guests were hand delivered this hand-made Fabric Folio was custom made and embellished with a luxe Satin Ribbon sash and Pearl Brooch nestled in a Gold presentation box wrapped in a Gold Foil Address wrapper. 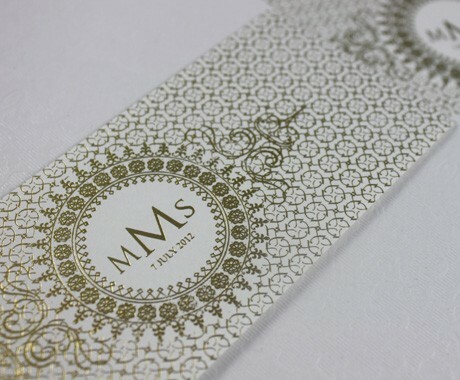 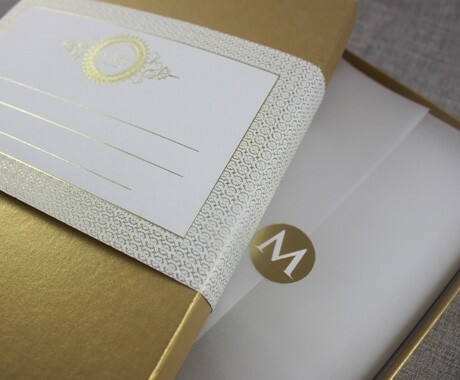 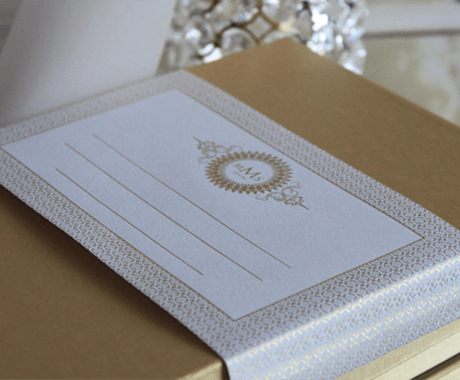 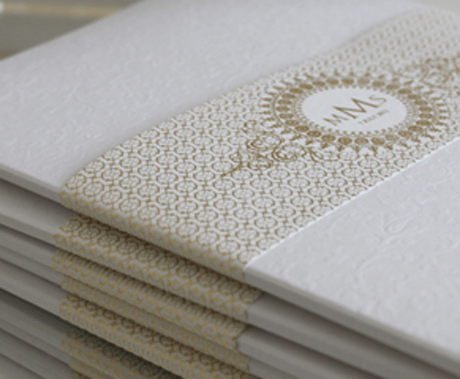 Whilst the remaining guests were given a beautiful Gold Foiled Invitation presented in a bespoke Pocketfold held together with a Gold Foiled BellyBand with a custom Monogram.